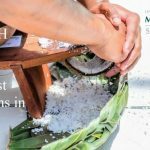 Chef Alan Wong teamed up with UH Hilo to host the benefit. 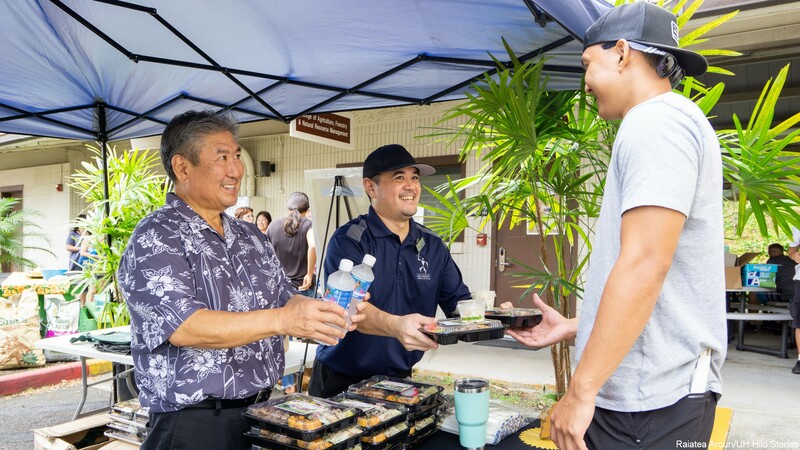 (Left to right) Chef Alan Wong and Sodexo’s Reid Kusano thank Dylan Sugimoto, a senior, as he picks up his bento Sept. 24 on the UH Hilo campus. 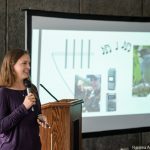 Photos by Raiatea Arcuri/UH Hilo Stories, click to enlarge. 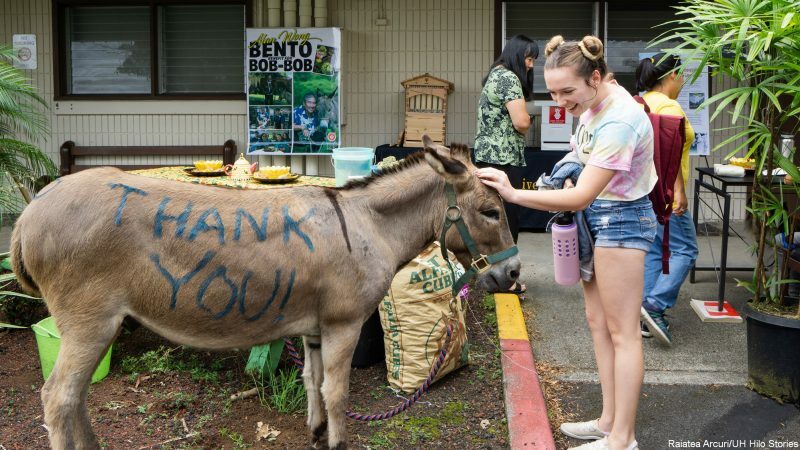 The “Bento Benefit for Bob-Bob” raised $2,500 to help support University of Hawai‘i at Hilo’s equine program to fund medication, horse supplements, and veterinary care for horses at UH Hilo’s Agricultural Farm Laboratory in Pana‘ewa. 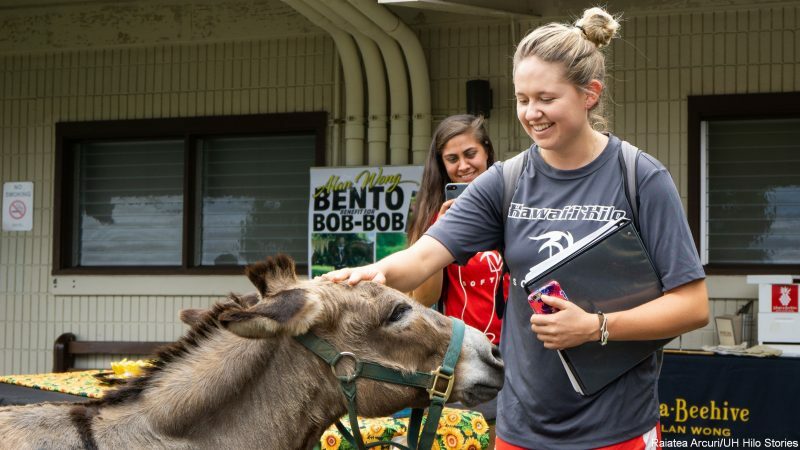 In May 2018, with the Kilauea eruption in Puna, 22 horses and the mini-donkey Bob-Bob were displaced from their homes and fostered at the UH Hilo Farm. 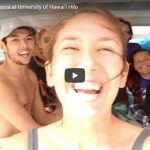 Their care has been provided by UH Hilo pre-veterinary students and volunteers. 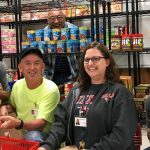 The benefit is a partnership with UH Hilo, Chef Alan Wong, and the Adopt-A-Beehive with Alan Wong program, and Sodexo Dining Services. 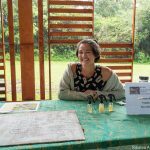 The UH Hilo farm is home to the apiary that is central to Alan Wong’s Adopt-a-Beehive Program. 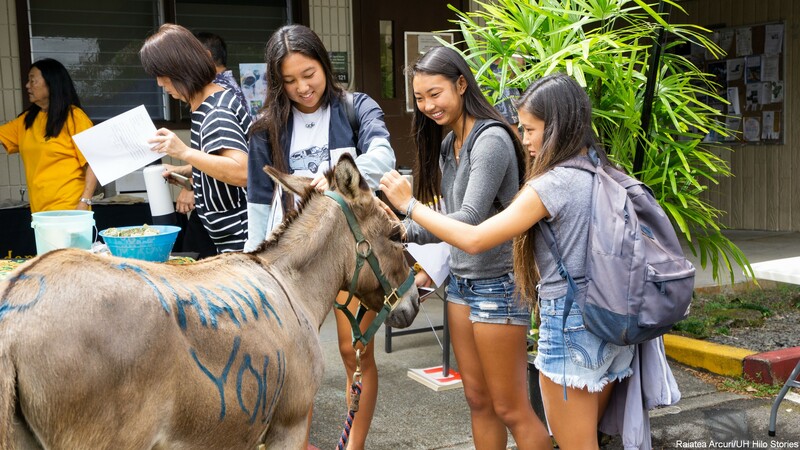 Chef Alan Wong (left) and Interim Chancellor Marcia Sakai with Bob-Bob, a miniature donkey rescued during the recent lava flow in Puna and now housed at the UH Hilo Agricultural Farm Laboratory along with 22 rescue horses. 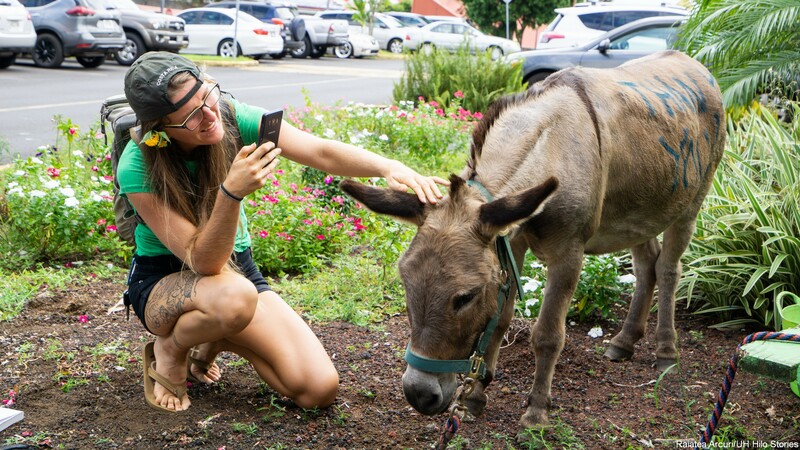 Photo taken outside the UH Hilo College of Agriculture, Forestry and Natural Resource Management, Sept. 24, 2018.